6 Bears Farm: Our backyard becomes a hayfield !! 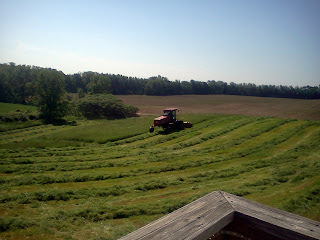 Our backyard becomes a hayfield !! With the traveling I have been tasked with, the backyard was not cut this spring. 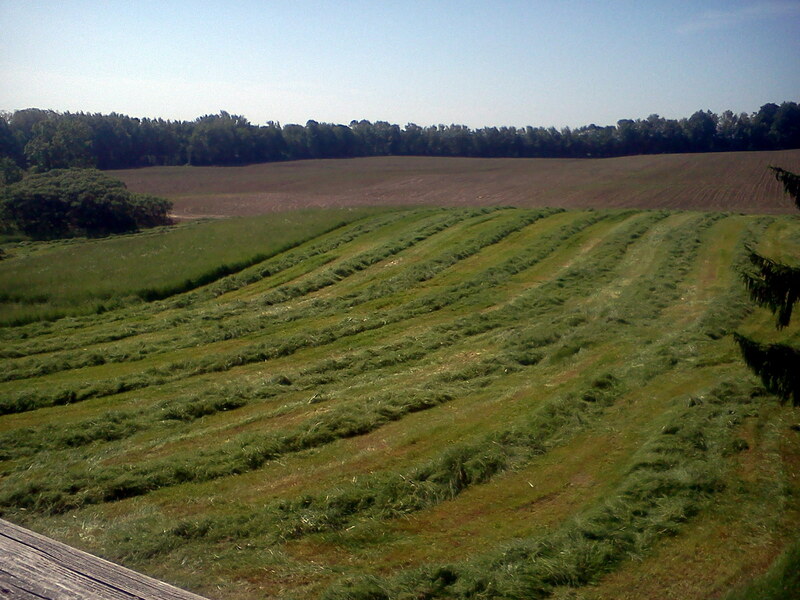 I tried to cut it with our mower but that proved to fruitless. 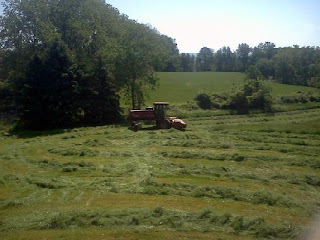 Thanks to our neighbors Harkins' Dairy Farm for helping us out !! Thanks to Robin for getting these great photos of "The Cutting"